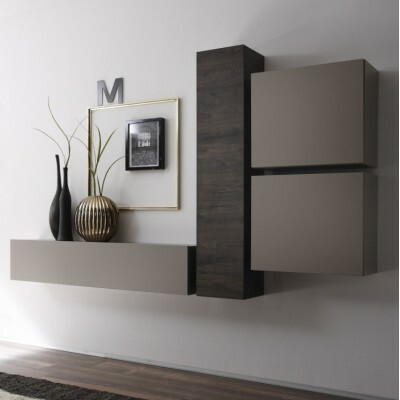 "Miguel" wall units for living room in MDF. 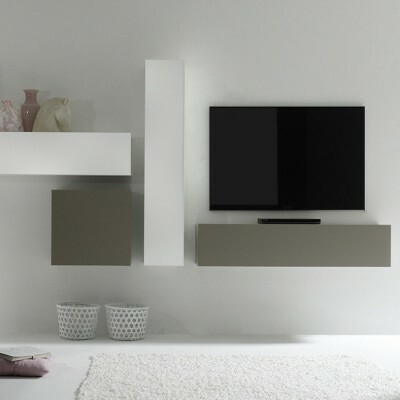 Made up of living room drawers, shelves, wooden cubes. 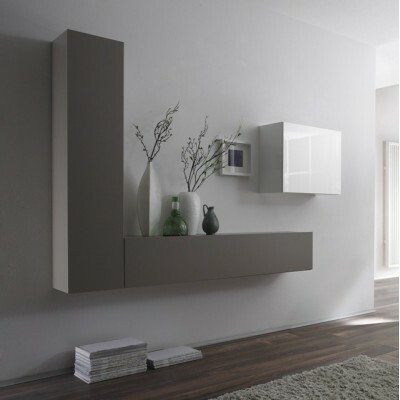 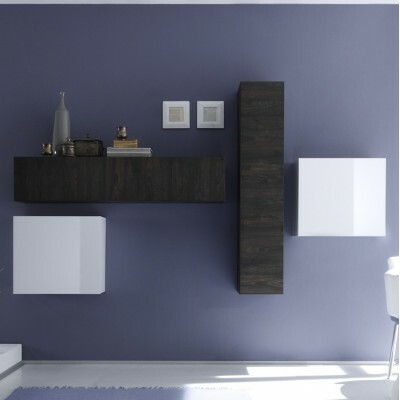 Modern wall units, design 100% made in Italy. 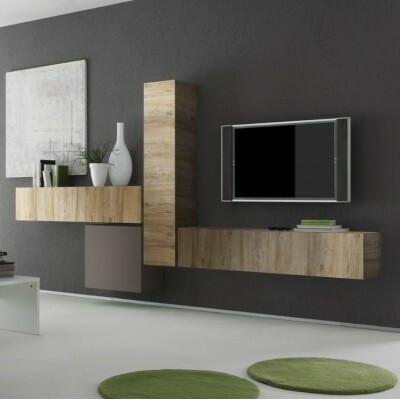 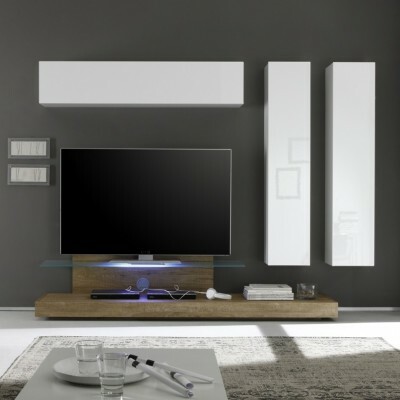 Wall units can be exploited as a TV cabinet, wall units for living room, bookcase, storage, pantry.